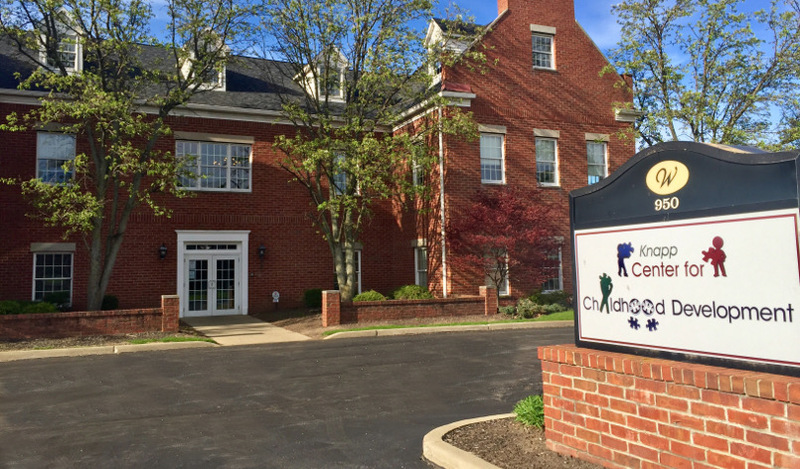 The Knapp Center for Childhood Development is the only fully evidenced based ABA program in our tri-county area.The Knapp Center opened in October 2011 as a diagnostic and treatment facility for children and youth with autism spectrum disorder. Our staff utilizes evidenced based methodology of Applied Behavior Analysis (ABA). All our staff are trained, certified and/or licensed in ABA and all our patients receive 1:1 care with our highly qualified staff. Since our inception in 2011, the Knapp Center services have expanded to meet the needs of the community we serve. 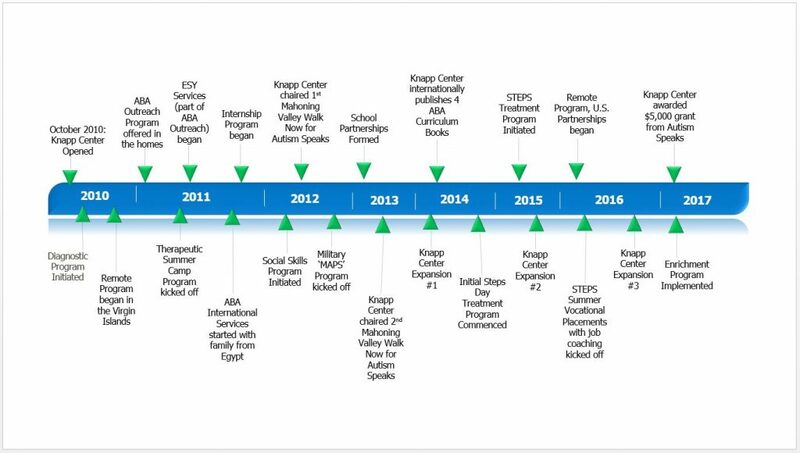 Below is our historical timeline of our milestones in our journey of serving those with autism. The mission of the Knapp Center for Childhood Development is to collaborate with individuals with developmental disabilities and their families to improve overall quality of life and community inclusion. The Center accomplishes this mission through individualized treatment programs, training, and workshops, advocacy, community partnerships, and measuring the outcomes of our programs in order to continuously improve the quality of care offered. The Behavioral Health Center of Excellence (BHCOE) has recognized the Knapp Center for Childhood Development with a 2-Year Accreditation (2017-2019), acknowledging the organization as a top ABA service provider in the country. The BHCOE Accreditation recognizes exceptional behavioral health providers that excel in the areas of clinical quality, staff satisfaction and qualifications, and consumer satisfaction. BHCOE Accreditation is the only ABA-specific accreditation. Acting as a third-party, the organization systematically measures and reports on existing quality criteria in the behavior analysis community using standardized methods and practices, and accredits only those service agencies that meet these standards. The Knapp Center has received this award of distinction, being recognized as a top 10% of ABA providers in the country, and first in Ohio to receive this recognition. About Behavioral Health Center of Excellence (BHCOE) The Behavioral Health Center of Excellence is a trusted source that recognizes top-performing behavioral health providers. BHCOE offers a third-party measurement system that differentiates top services providers from exceptional services providers. The BHCOE criterion features standards that subject-matter experts developed to measure state-of-the-art behavioral health services. For more information, visit www.bhcoe.org.